Physicians and other medical practitioners heal people and save lives every day. Unfortunately, the outcome of surgeries, procedures and other medical treatments sometimes results in injury, worsening of existing injury, or in the most severe cases, death. Often, these outcomes may be the result of “known complications.” However, in some circumstances an adverse outcome with a patient who has undergone a medical treatment or procedure is the result of medical negligence. Medical Malpractice is a highly specialized and technical area of law. 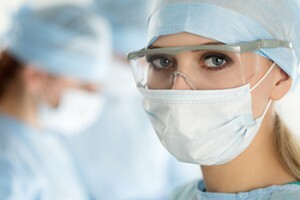 Medical negligence can occur in all specialties of medicine. If you suspect you or a loved one has been the victim of medical negligence, you need an experienced lawyer who knows precisely how to navigate a medical malpractice case.